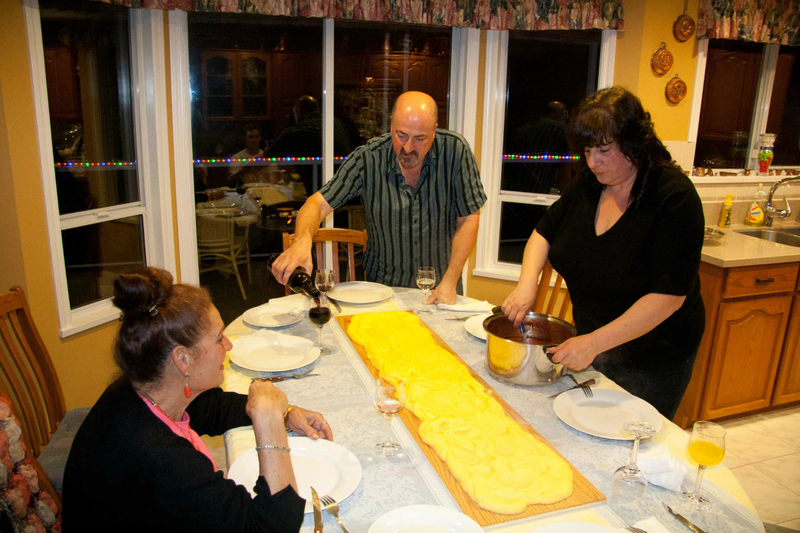 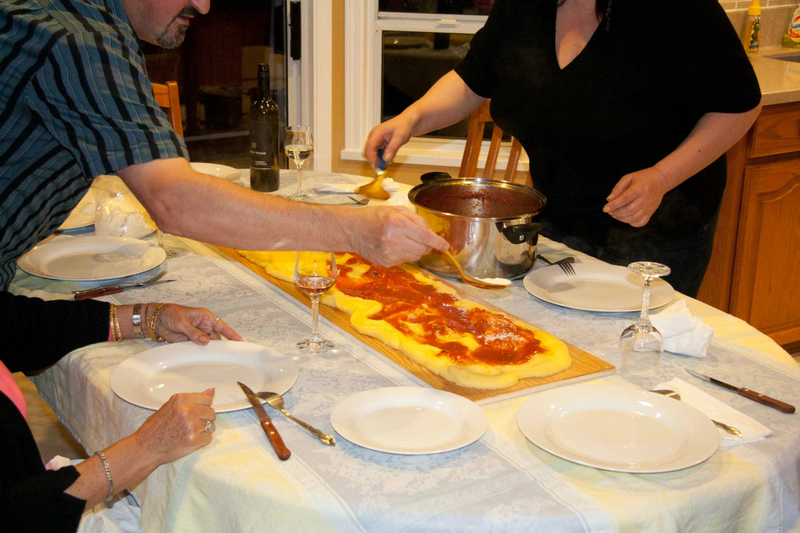 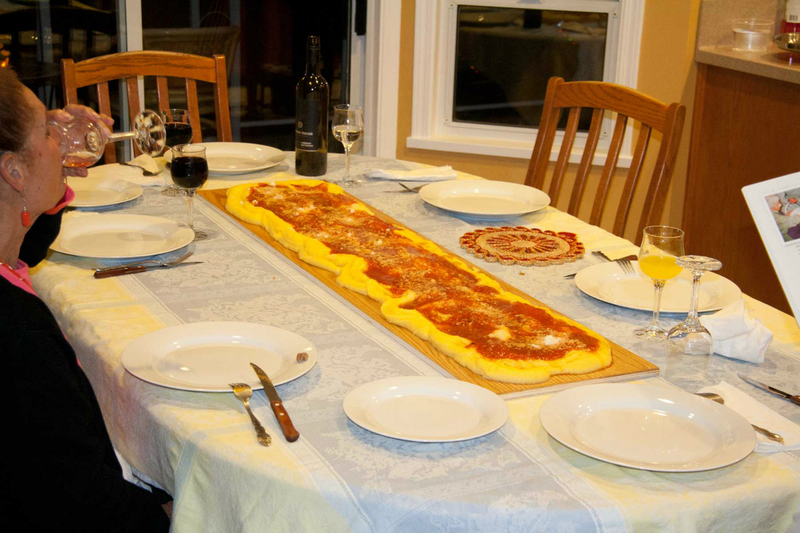 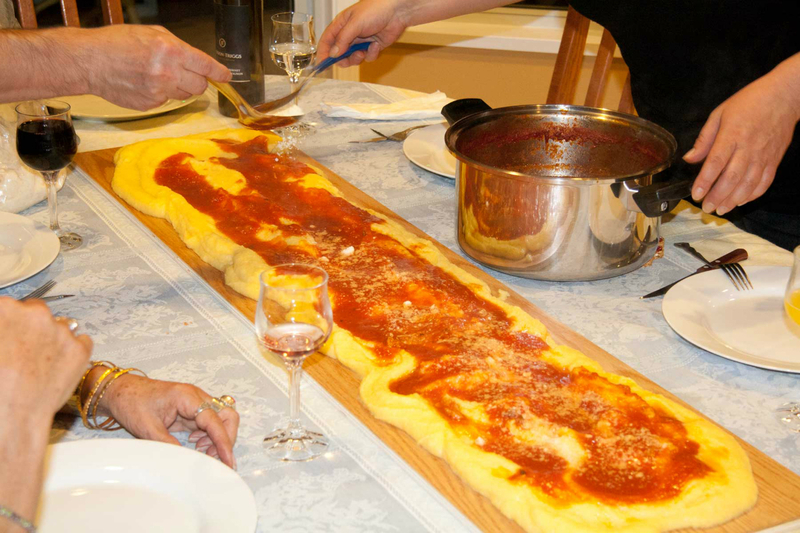 Families were large and there was so much work for the women (this being before electricity and all the work saving gadgets it brought) that it became the custom in some regions to simply pour the polenta on a large board, the size of the table, and put the sauce on it. 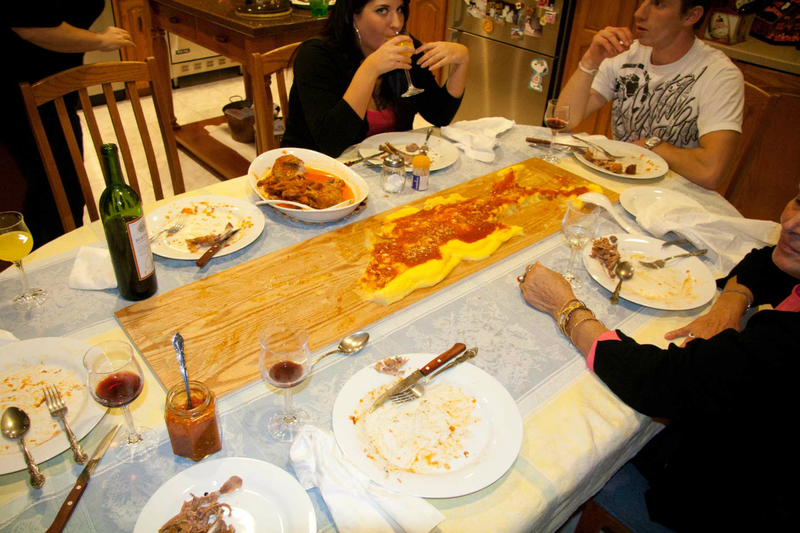 Then everyone would eat from it. 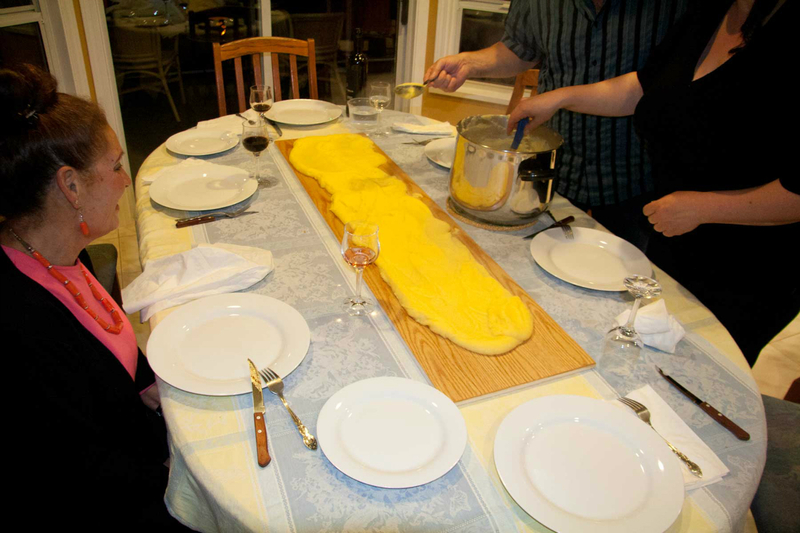 This was called, if you translate it, “polenta on the board”. 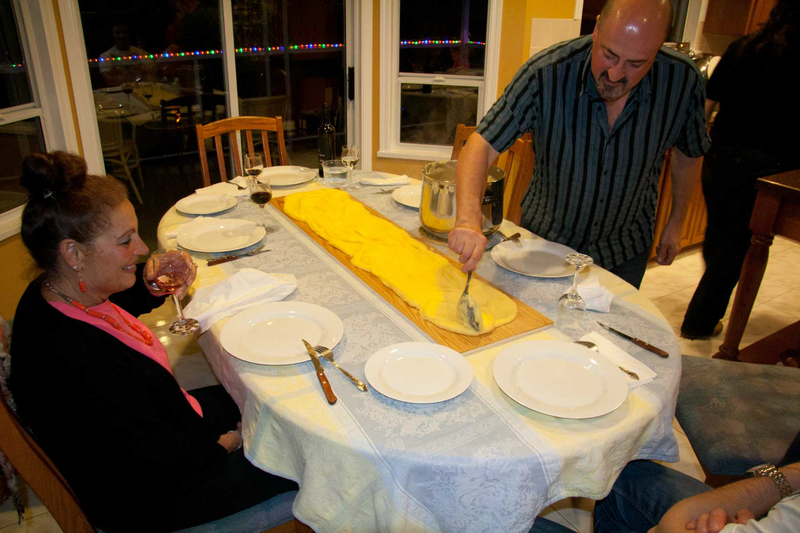 I had heard of this but I wasn’t sure if I believed it. 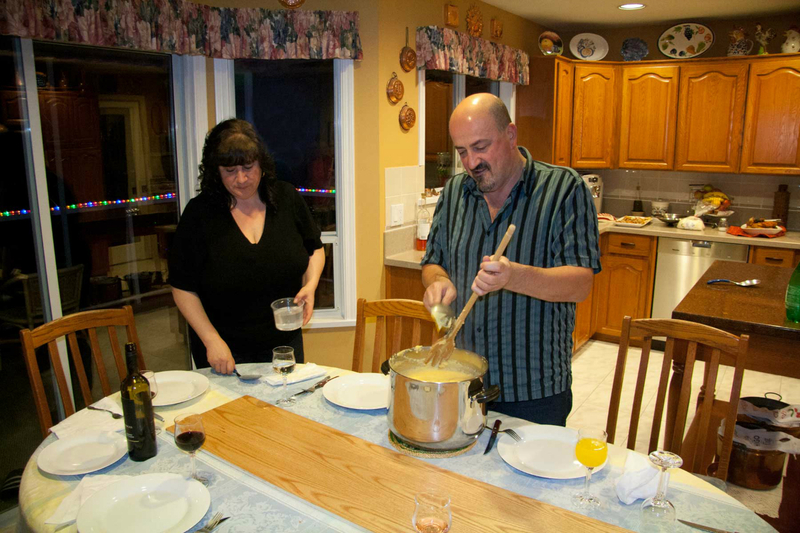 Then, for Christmas, or birthday, I forget which, for Joe I found a cookbook called – wait for it! 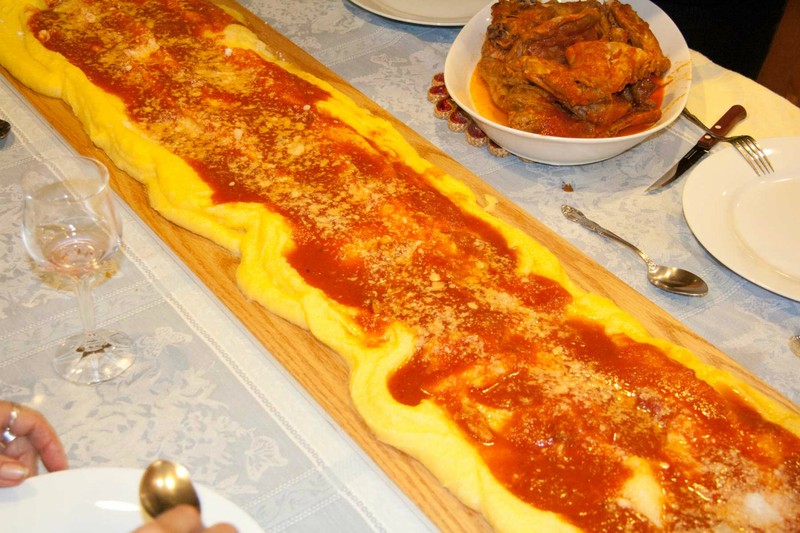 – “Polenta on the Board”. 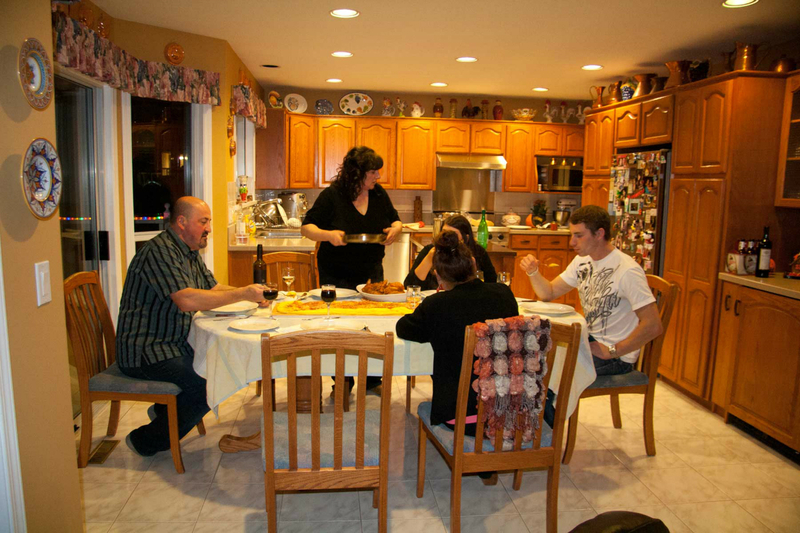 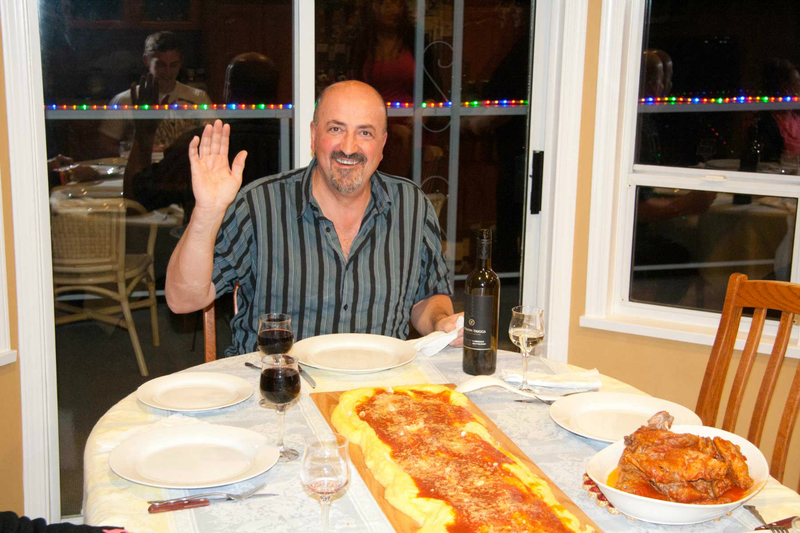 And October 31st, 2012 we were invited to Joe and Christina to relive this old Italian custom. 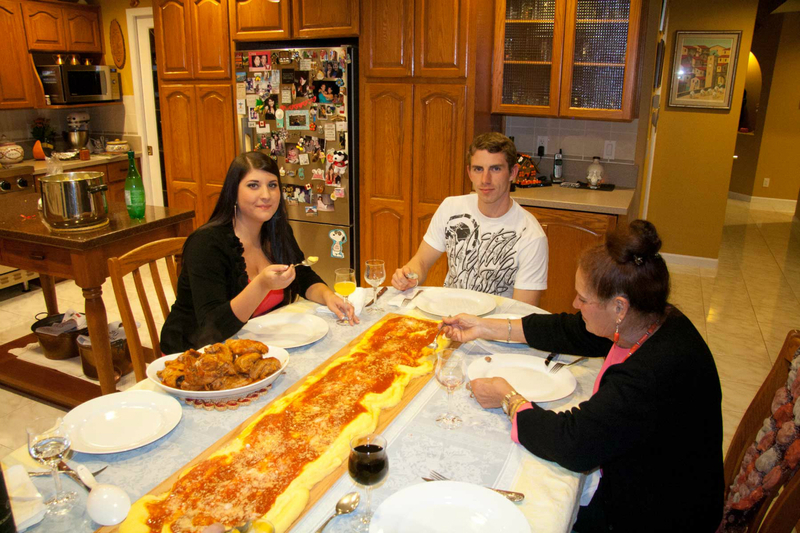 I know you don’t believe a word of this, do you? 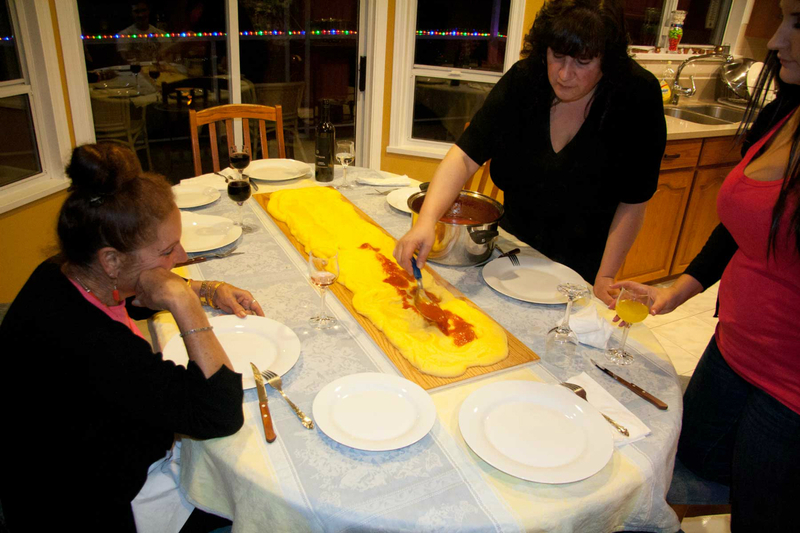 Well, have a look!